It may be hard to believe, but there was a time when no one had heard of cronuts, the suggestion of a green smoothie would invoke all kinds of confusion, and quinoa was nothing more than a foreign word. We’re all over these foods now, but what will be next? There are all kinds of epic (and sometimes just downright crazy) food trends hitting the streets of California, New York, London, so we’ve put together a list of the ones we’re hoping will make it to our sunny shores stat. This brightly-hued treat is taking over social media feeds around the world. The brainchild of self-proclaimed “world premier bagel artist” Scott Rossillo, his New York bagel shop brings an average of 800 customers a day, all lining up to try (and photograph) the #rainbowbagel. 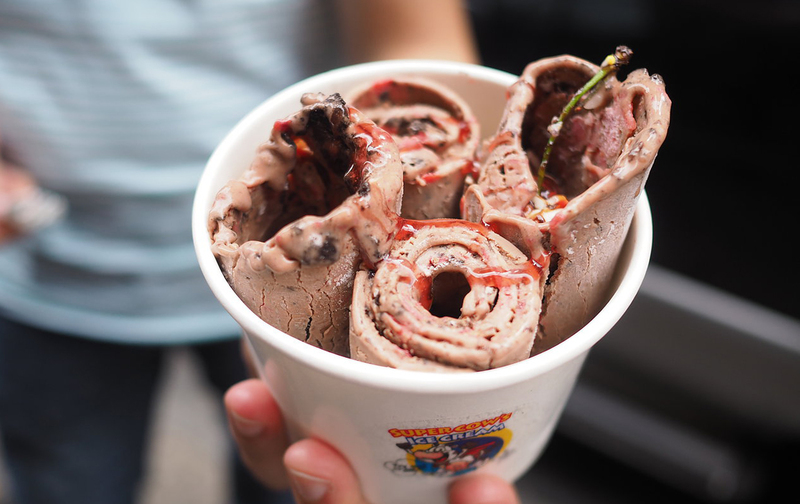 Despite Rosillo trademarking Rainbow Bagel™, these magical creations are still popping up all over… and we’re hoping one of their next appearances will be on the Coast. Complete with the toppings, of course—cotton candy cream cheese with funfetti? Yes, please! This Hawaiian fish and seaweed salad is soooo going to be the next macro bowl. 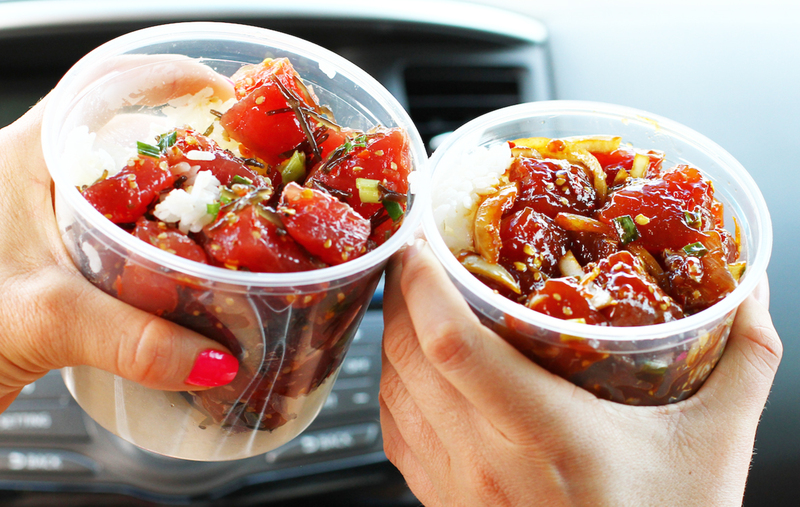 It first hit California a few years ago where they quickly claimed it as their own and started what some people are calling the trendiest food of 2016—poke bowls. Ultimately it’s raw fish (usually tuna) tossed with sesame oil, soy sauce, and sesame seeds served over either brown rice, zucchini noodle, or soba noodles. Delish. Doughnuts are epic, ice cream is awesome. Combine them and you get pure magic. This food mashup is precisely what it sounds like. 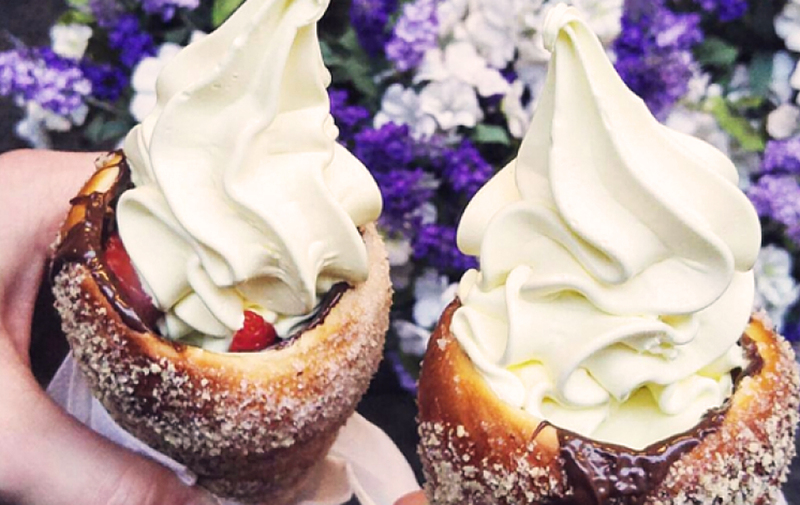 A sugar-crusted cinnamon doughnut cleverly shaped into a cone to hold your ice cream. Okay, so it may sound strange, but that doesn’t mean we don’t want it here to at least try. 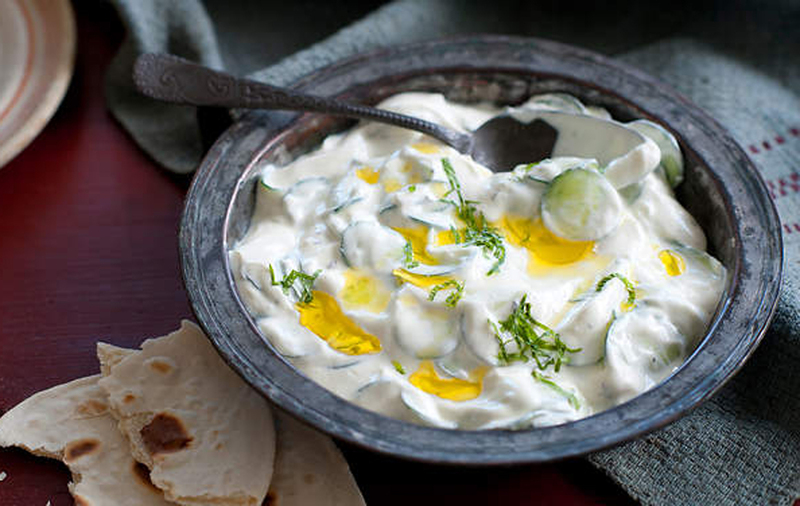 Blue Hill Yoghurt have started the savoury yoghurt trend with vegetable flavours like carrot and tomato. The thing is, despite being dubbed “savoury”, they’re still sweet. Their pumpkin yoghurt is sweetened with maple sugar and spiced with cinnamon and nutmeg. The beetroot (yep, beetroot!!) yoghurt has honey and raspberries in it, and the sweet potato yoghurt is made with molasses and sea salt—ahhh, yum? Bottles and glasses? Who’s got time for that! Wine in a can is where it’s at. Did we mention it also turns you into a sick rapper? 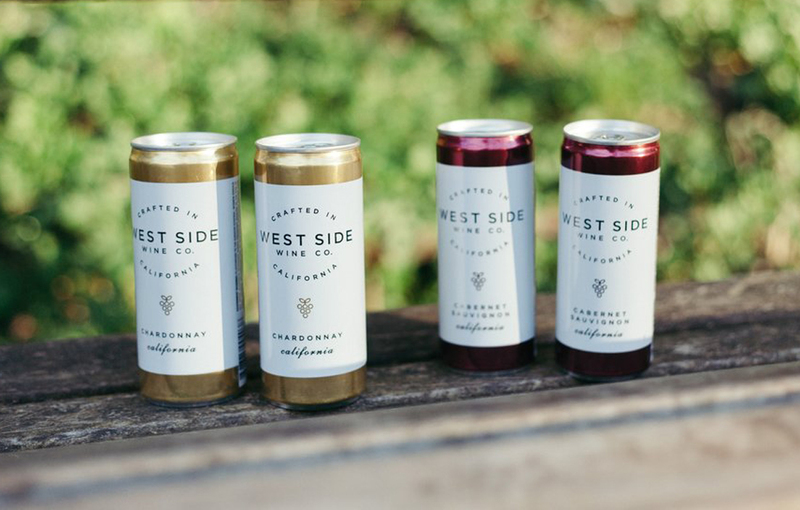 Gangstas aside, canned wine is hitting the streets… and festivals… and parks… and beaches around the world and we want it. 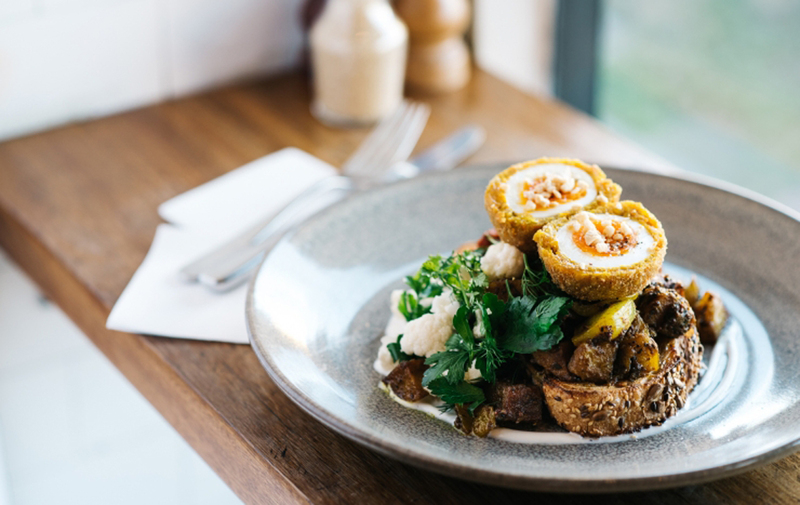 The scotch egg is quite possibly the best snack you’ll find in London. Picture a boiled egg, the yolk neither too soft nor too firm, just a perfect goo of goodness. Around said egg is juicy pork sausage. It’s lightly-floured, deep-fried, and sold at farmers markets, pubs and cafes as the ultimate protein snack. This little baby was invented way back in 1738 but it’s making a comeback with vegetarian variations and even meatier options like the chorizo scotch egg. We think this little treat would fit in perfectly at one of our local farmers markets, right? Introducing the new kale chips. 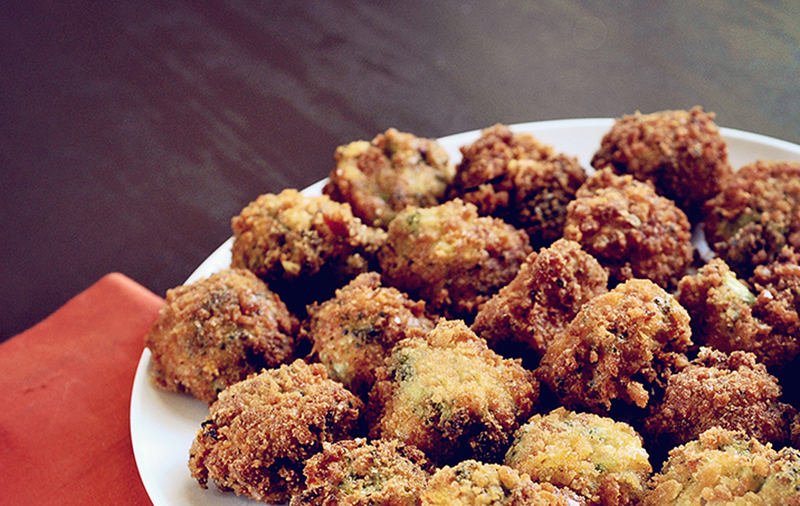 Broccoli poppers are vegan, gluten-free, enhanced with probiotics, crunchy, and (according to our sources) delicious. They’re claiming kale chip territory in the superfood loving states of the USA but remain to be spotted in Aus. Guess we’ll just have to hold out and see. We were sceptical on this one at first. Ruining something as good as a croissant would be a crime. 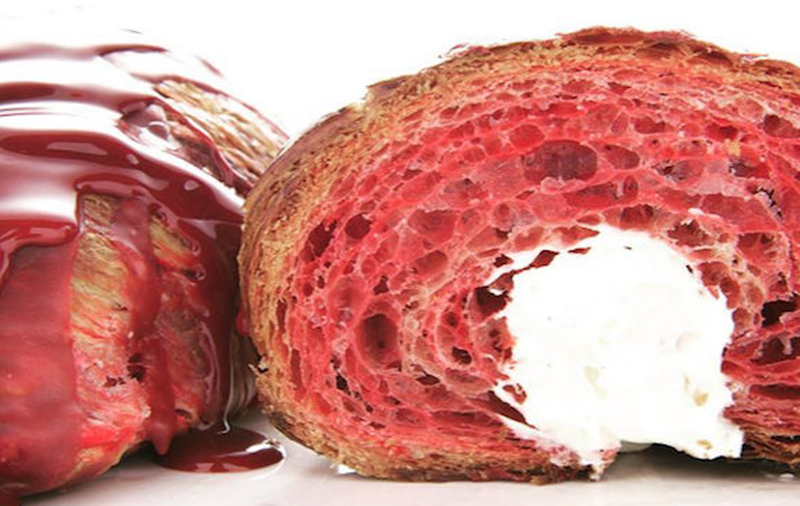 Alas, rumour has it these bright red, chocolate covered, cream cheese-filled croissants are actually next level. 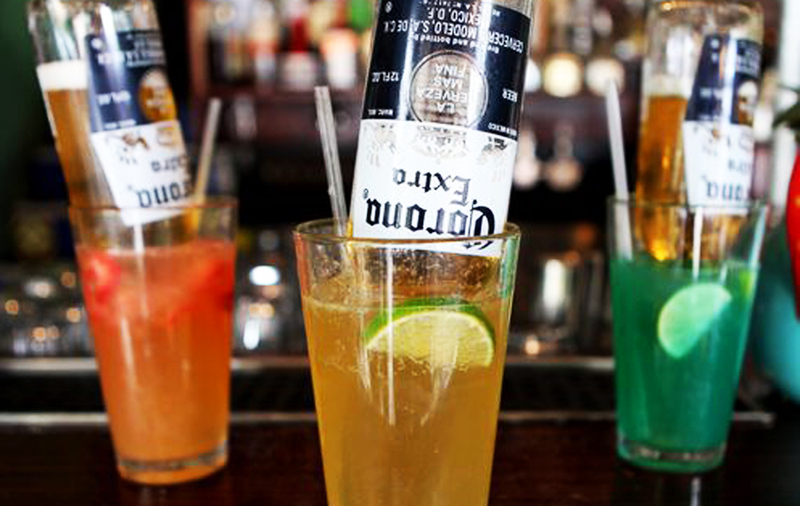 You know those times when you can’t decide whether you want a beer or a cocktail? Well, in some lucky places around the world you don’t have to choose. The Brew Dog bars in London, Bristol, and Birmingham are serving beer cocktails, like the “Posh Punk” which is IPA, gin, lemonade, and fresh lemon. While we’re patiently waiting for these babies to hit the Coast, we’ll just have to relish in the fact that we get approximately 80% more sunshine than they do. Word on the street is that the theatrics of making this ice cream is almost as enjoyable as the ice cream itself. There’s slicing, dicing, mashing, and rolling to come up with perfect thin scrolls of ice cream and mind-blowing flavour combos. Like vanilla ice cream mixed with blueberries, marshmallows, and strawberries, topped with wafers, whipped cream, and Hawaiian syrup. Or green tea ice cream with mango and kiwi, topped with wafers, whipped cream, watermelon candy, and a marshmallow. Umm, yeah— we want this NOW! You’re probably picturing raw salmon, beans, cheese, and pickled ginger spilling from a rice-filled burrito (yuk! ), but this food mashup isn’t quite as crazy as it sounds. 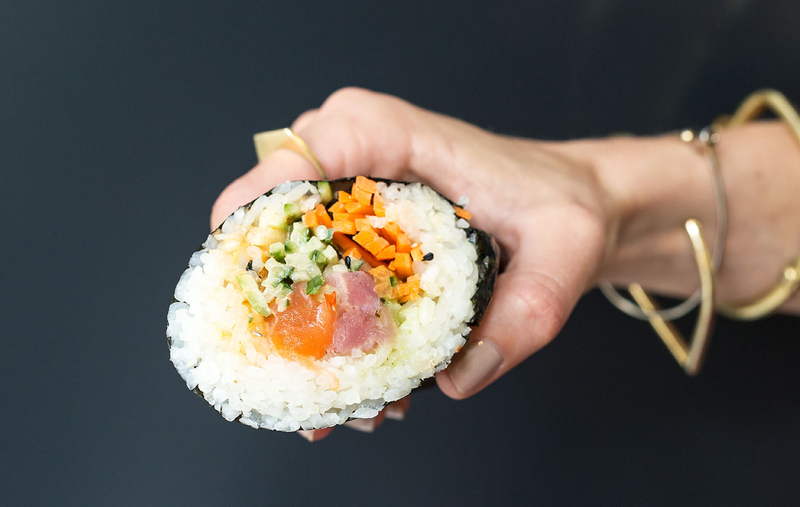 Sushi burritos are actually just super large hand held sushi rolls. So, if you’re the type of person who can easily gobble eight sushi rolls for lunch, you should probably be rooting for sushi burritos to hit the Coast. 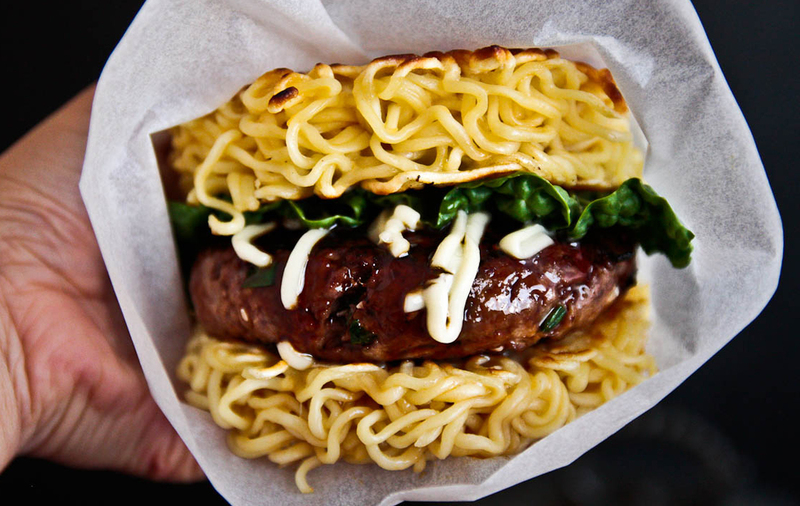 Another on the Japanese food front are ramen burgers. And unlike sushi burritos, this one is weird. You’ve got the same innards as your standard burger, but instead of a standard brioche bun, it’s replaced with a ramen “bun”. All the ingredients are pretty epic on their own, so technically they should taste good together, right? American food diners and bars are popping up everywhere, they’re all the rage. 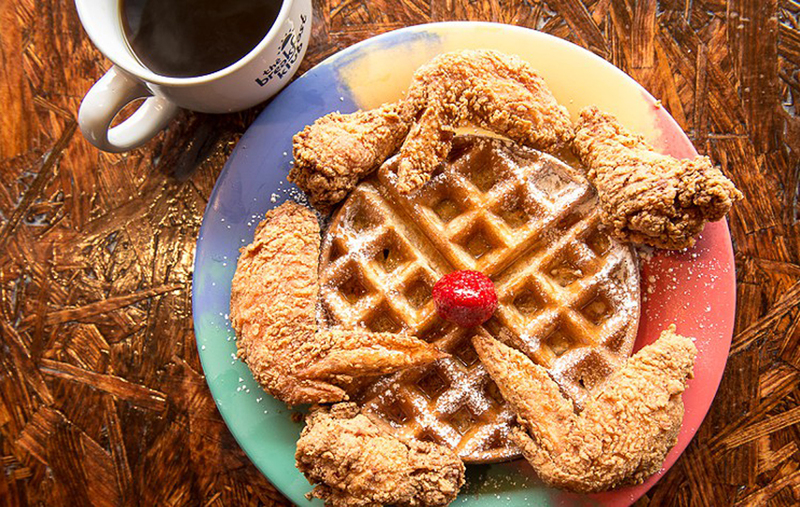 Some of them are even diving into American breakfasts… including chicken waffles! A bed of scrumptious waffles, topped with fried chicken, a scoop of ice cream, and covered in maple syrup. Breakfast of champions much? 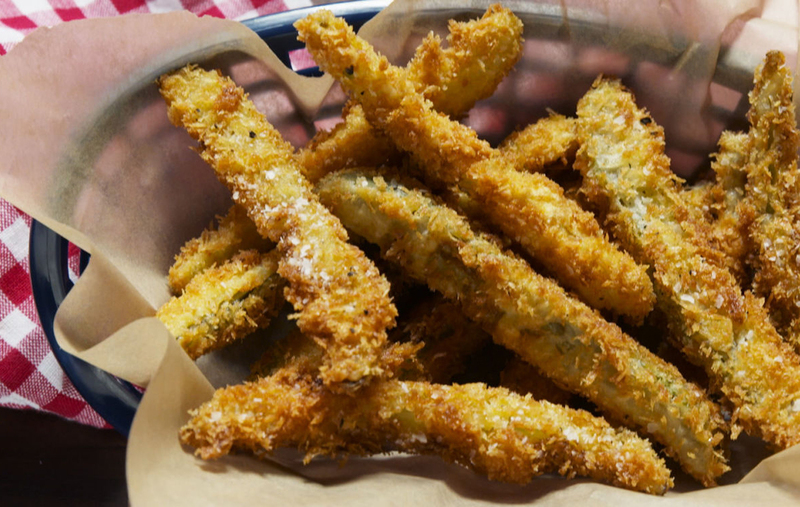 One of the latest food trends to hit burger joints is the frickle—that’s a deep-fried pickle. These juicy spears of awesomeness are so good that even non-pickle fans are devouring them by the bowlful. We’ve got the cold beer and burgers to go with them—now give us the darn frickles!